Welcome in our new Kayak center in Oqaatsut. With our partner GPI Greenland, we offer you a unique experience. 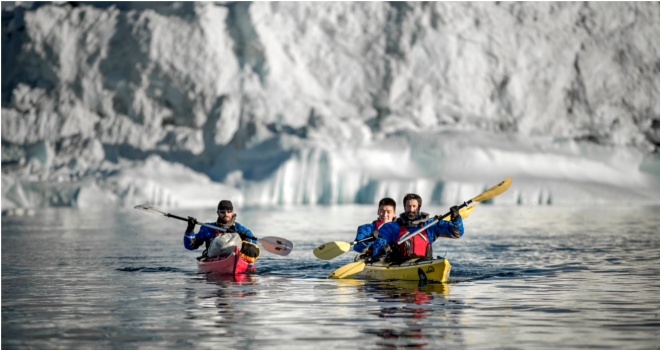 Paddling around Icebergs and Ice with an experimented instructor… and if you are lucky you will get to see whale or paddle around them. The tour is around 3 hours, and include : kayak (double and single kayak available), all equipment (complete dry suit, warm underwear, life jacket, dry bag if needed), a well experienced instructor, and a coffee break. Other tours will be open next year like Kayak with Hiking.